Who is, Heather Kilgore? Tell us a little about yourself. I am a self taught fantasy artist. Art influence in my life started at a very early age. My mother and father are both very creative people and always encouraged their children to expand their minds with reading and the arts (all of the arts). I am a huge fan of science fiction and fantasy as well as historical fiction. Mercedes Lackey, Andre Norton and MZB are three huge influences on my work as they have always had very strong female figures in their writings and you will see that even the most tender of pieces I create have a strong female presence to them. I am a solitary Pagan and this also influences my work as I try to bring the magics I see in the world around me to life in my pieces so that people can see the world through my eyes. 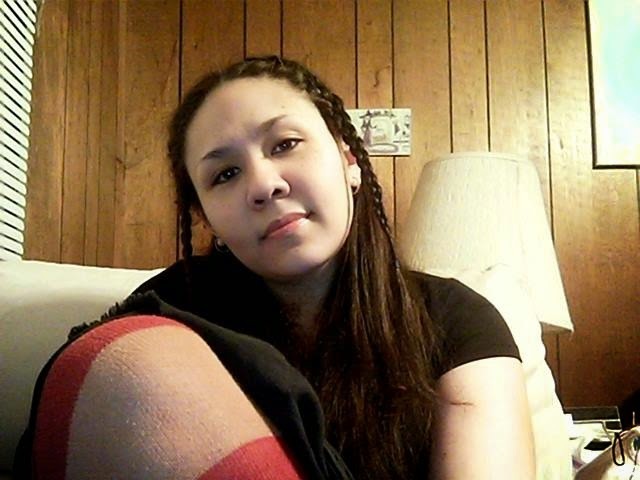 I am actually a HUGE Amy Brown fan and was looking through stuff on her facebook or livejournal…maybe myspace lol. She and another artist had been doing the prompts at one time and I came across Coriander’s page and started following her and the project. I submitted my work and was just tickled pink when I was accepted into EV! 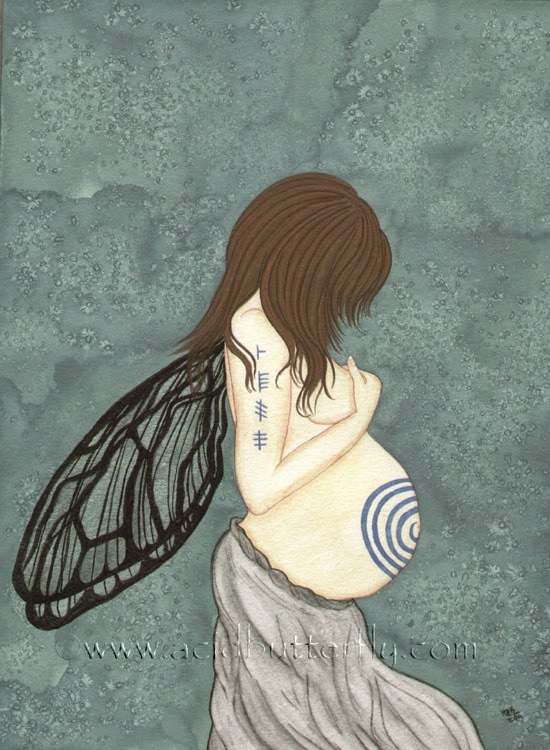 “Abundance” depicts a pregnant celtic, faerie. Pregnant women to me are the epitome of abundance and beauty. The ogham on her arm each symbolize birch, alder, reed/broom, and heather. Each are sacred and have a meaning to the Druids and have to do with the power and beauty of birth and rebirth, beginnings and such. “Before the Ride” was done from a stock photo. 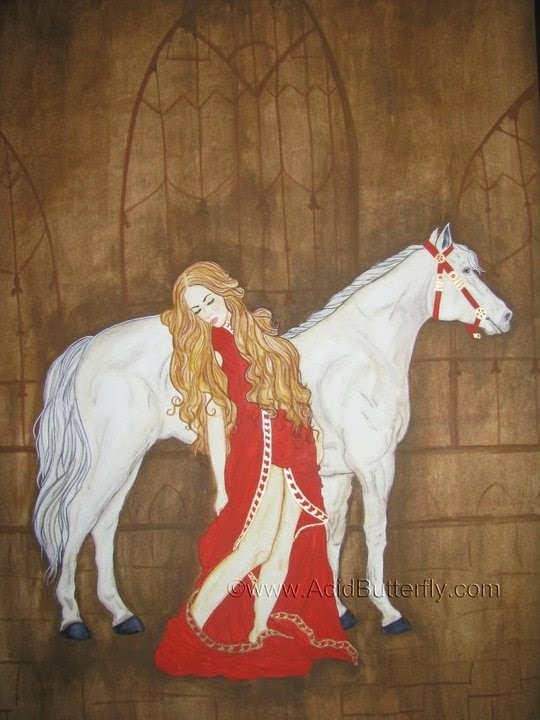 This is my interpretation of Lady Godiva right before she defied the edicts and taxation of her lord husband. Again strong minded women in history are very important to me. 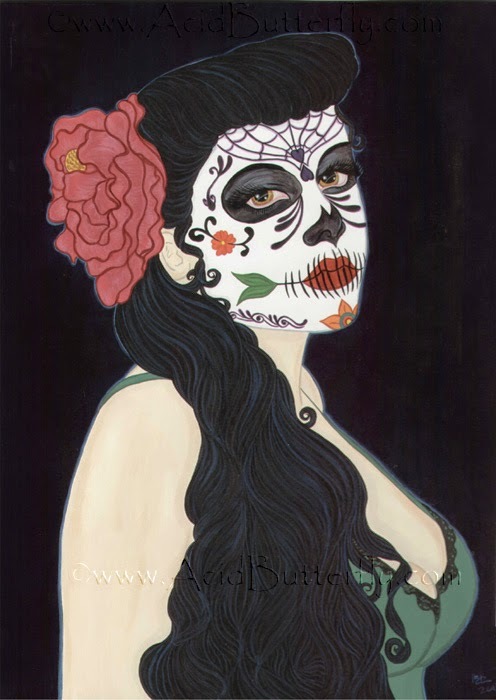 “Dia De Los Muertos” is a pinup sugar skull piece. I am a very big fan of both the pinup culture (I like drawing and painting full figured women) and the pops of colour and meanings behind the sugar skulls. I do not generally. I tend to list prints on my main website and sometimes (if my mother, husband or brother do not abscond with the pieces) will sell the originals on my etsy or main site. Not at all! I love the fact that once I have finished putting what is in my head down and turned it in, I get to see all of the beautiful interpretations from the other EV artists. I am not a very competitive person when it comes to my artwork. 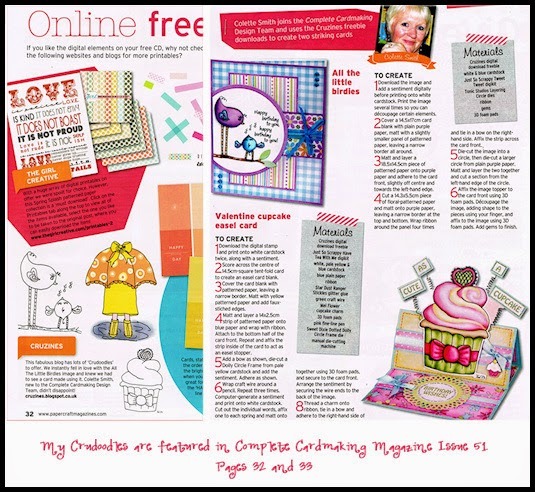 I find it widens my own views when I can see what someone else sees when they are given the exact same theme! I am in a way. Each of my pieces has it’s own story. I do not usually give a description of each piece. I let the art speak to each person and let them come to their own conclusions. So, I guess in that respect, I am a prompter encouraging people to make their own stories up when they look at the work. I find that when you give less of an explanation it tends to help people connect. What I am thinking when I paint a piece is not necessarily what the person looking at it sees. Haha, at the moment my work space is in a bit of disarray due to the fact that I have so many projects going on. I have an art desk that I have set up in the back part of my living room. (I like to be able to connect with my family, even if I am working as they are a huge source of inspiration for me). I have 2 metal easels set up that I use for holding boards and reference photos. I have coffee cups with brushes, pencils, scissors, rulers, and other art miscellany are at the back of the desk always. I find that having everything at arms length is best for me. I also keep larger pieces and drums that I work on hanging on the wall to my left. I generally have coffee, tea or water on the desk. My paints are all in hinged boxes or baskets. I keep a small purple box of watercolour and gouache pigments on the desk as I use them more than any other medium. On a container to my left and back I keep papers, boards, sketch books, and artbin boxes filled with pencils and charcoals. I call my work space my own personal organized chaos. Thank you so much Heather for this wonderful look into your creative process, your art and you. Please visit ENCHANTED VISIONS to see more of Heather’s art and what she has created for the latest theme. Posted in artist feature, artist interview, Enchanted Visions, Friday Art Feature and tagged Heather Kilgore, painting. What a great interview! I love reading what other artists have to say about what lead them towards art, how they create and their inspirations. Fantastic artwork, Heather!